Sobótka is located 30 km north-east of Świdnica. 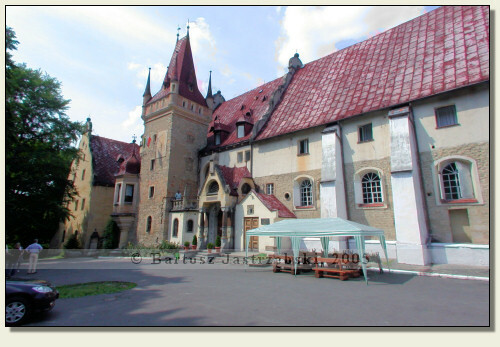 As to reach the castle you need to, at the main crossroads in the center of the town, make for Sobótka Zachodnia, according to the indication of the signpost. Next drive down the main road all the way long and look out for the Zamkowa street on the left side. After finding it you need to turn into it and drive to the very end where the castle stands. 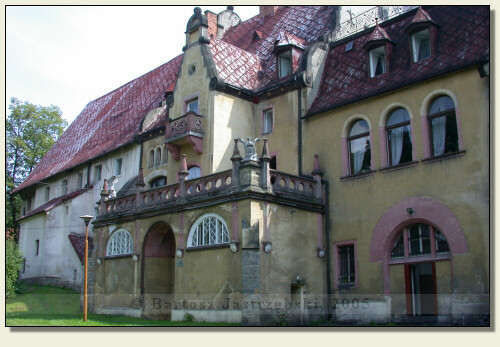 The history of the arising of the castle-like building in Sobótka-Górka is fairly atypical. In 1121 was built a chapel at that place, founded for a just arrived Augustinians. In the years of 1524-1553 a residential part was annexed to the chapel, which was then extended in 1585. The whole religious-residential complex, particularly, was reconstructed in the years of 1885-1891 giving it the shape of an existing up to this day palace. A new building in its interior holds a medieval chapel. However, close to chapel the groundwork of the walls and a tower were discovered, which may prove the existence of the medieval castle at this place.